The folks in Mazabuka are arranging another MTB extravaganza in Sept. See Flyer below for more info and contact details. Apparently 2011 was a great event so one not to miss! All the documents you need for the 2012 Mulungushi MTB Challenge can be downloaded below as a standard zipped folder. This is a moderately easy, wooded ride. It starts and finishes at OxyGym on Leopards Hill Road. If you’re driving there you can park in their car park. The ride cuts across the south-west corner of the Forest Reserve but most of the rest of the figure of eight is also wooded although the pictures I took don’t have a lot of trees in them! This is a nice and short route starting from the gym that winds through the Leopard’s Hill Forest Reserve in a nice single track loop. Nothing too technical though there are a couple of steep climbs on gravel that will need the granny gear! There are masses of trails branching off at all times so ample opportunity to extend and explore! Could be a decent run or walk if that’s what floats your boat. Relive the glory years of the rose boom with this easy / moderate trail that winds its way through the LH Forest Reserve and round the back of State Lodge via an abandoned flower farm complex. Some easy trails, the odd stream and gate and a couple of decent hills make this a varied but enjoyable challenge with less climbing that the routes that drop off the escarpment down the Chifwema Road. Terrain is mixed single track, jeep track, dirt road and farm tracks with a short spell along the powerlines. Been off the bike for a bit and needing to stretch those legs again? This is a nice and easy route that has a bit of everything but mostly some good, long sections of dirt road to help put some KMs back into your muscles! 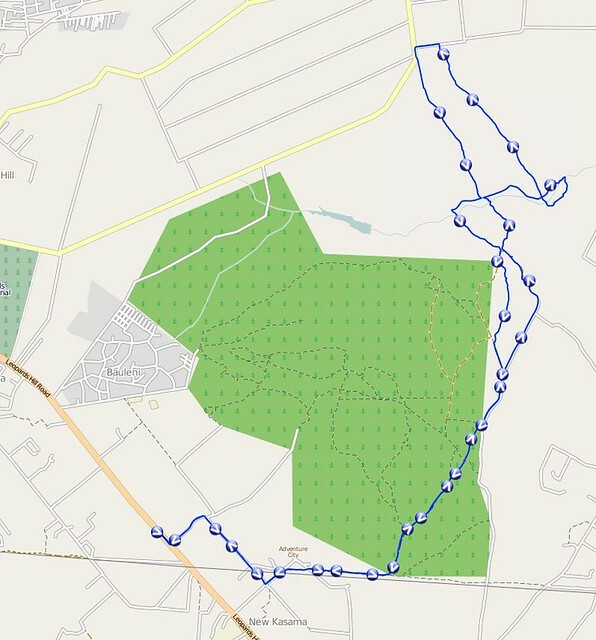 Nothing technical, some nice sections in the Forest Reserve and back along the Leopards Hill Road power lines with mostly good dirt road in between and some rolling hills towards the end. Starting point: Oxygym Car Park, Leopard’s Hill Road – smile nicely at the guards and they’ll let you park! This is the route of the annual 56k (or so!) Kasanka MTB Challenge, now in its second year. It is a great fast, flat track through some lovely bush, villages and a swamp. There is some awesome single track, some sandy jeep track and a tiny bit of tar (boo!) to finish on. For those who want to visit Kasanka at other times of the year, take your bikes, the staff there would be glad to help point you in the right direction! 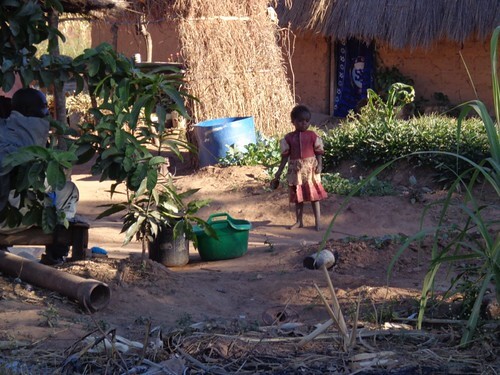 Contact Ernst at Wasa Camp via the Kasanka Trust Website if you want any guidance. 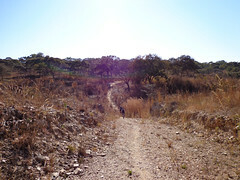 This is the trail run by the Lusaka Hash House Harriers on 5 May 2012. 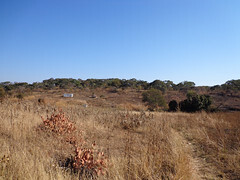 It is circuit between the south edge of the Lusaka Forest Reserve and State Lodge Road.